As follows, we reveal what are these false truths and what are the best practices to follow. On the contrary, eating a diet packed with the right kind of carbs is the secret to getting and staying slim. The key thing is to choose the right types. Think less about reaching for crisps, white bread and pasta and opt for slow-releasing carbs like sweet potato, quinoa, wholemeal bagels and pittas, and brown rice. 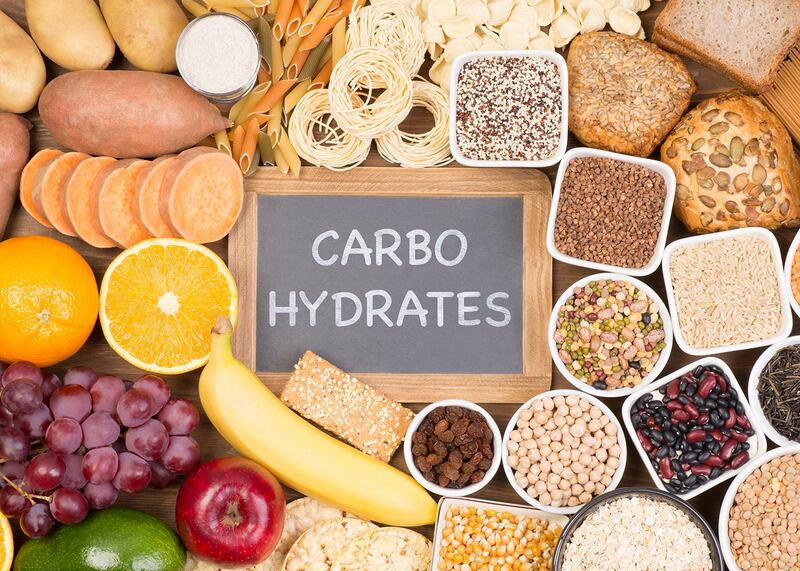 The right types of carbs fill you up, maintain your blood sugar levels, increase your metabolism and provide fuel for exercise, meaning that you push harder, perform better, get stronger and use more energy when training. Yes, that means you can eat more and still lose weight. A diet without carbs will make you miserable. Low-carb diets can make you feel anxious and depressed, as carbs are the main fuel source for the brain. 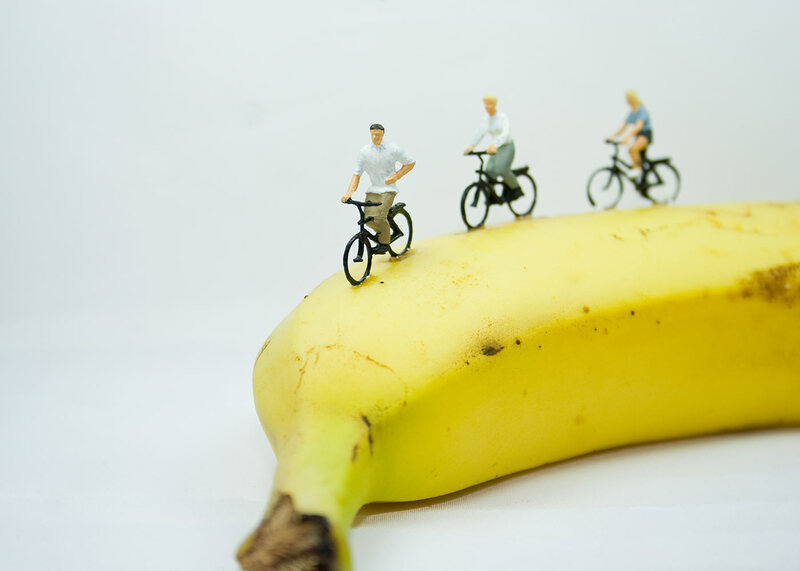 Just another reason to grab a banana before you get on your bike. It’s true that for a gram of fat the energy yield is greater than an equivalent gram of carbohydrate and/or protein, (9kcal versus 4kcal respectively). But when it comes to converting energy into useful fuel for cycling, the human body selects the predominant energy source based on the exercise intensity. At the highest exercise intensities carbs remain king. Typically, for any endurance event, the fuel of choice is carbohydrate and as exercise intensity increases the demand on carbohydrate also increases. In the absence of carbs the body can be trained to utilize fat, but at the highest exercise intensities carbs remain king. It’s worth adding that it’s never one fuel or another it’s always a mix, a layered approach, which is determined by the exercise intensity and duration. Protein directly affects muscle development and growth, especially when combined with resistance exercise (muscle stimulus). It’s very speculative to suggest that protein will make a cyclist leaner especially as protein is an energy and, as with all energy, it’s either stored, used or transferred. What could be suggested is that with the appropriate dietary protein content and training a muscle will become more efficient, leaner and have greater function, therefore protein is an essential nutrient in a cyclist’s diet. 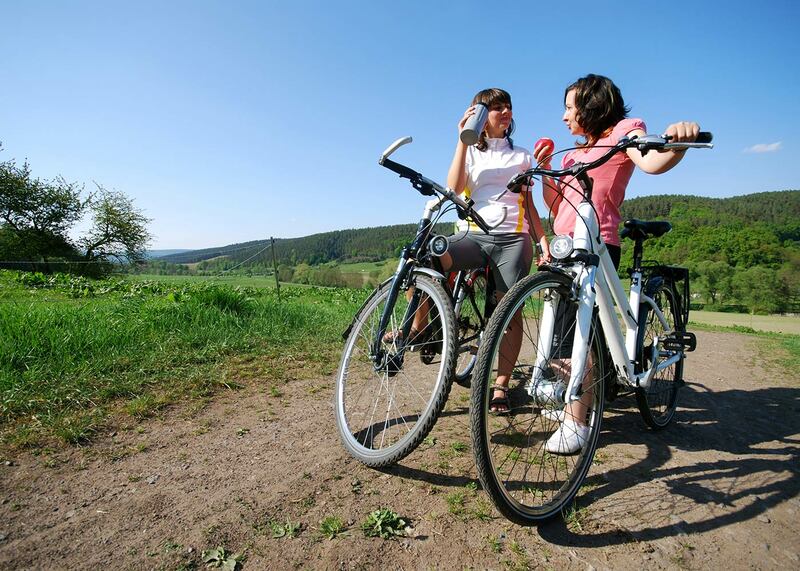 When you’re cycling, you need to consider that you are drinking not for the immediate response but to keep everything ticking along in the hours to come. Being hydrated and maintaining hydration can have a direct relationship to performance. Dehydration is certainly negative to human physiology and at greater levels can have serious consequences. In the elite cycling community dehydration is another factor to manage and the winners of many races often report levels of dehydration. A sensible approach, particularly for new riders, would be to maintain your hydration levels by matching your sweat loss. Caffeine has long been held as the hero to help get you through the afternoon slump. 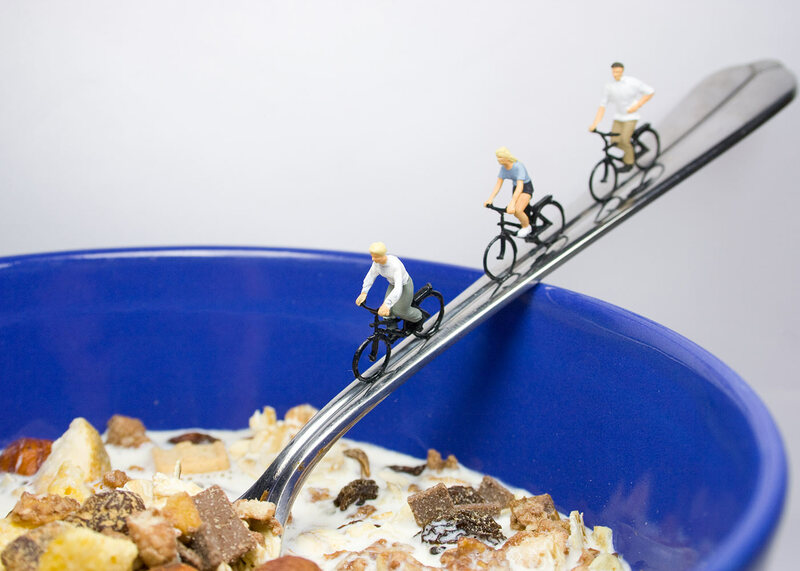 The European Food Safety Authority (EFSA) recognizes that caffeine supports concentration and alertness, which are both good attributes for cyclists. A connection, therefore, could exist between working harder and being more active and weight loss but this could only be seen as an indirect response to caffeine rather than an approved health claim. After sleeping, your body has undergone a long period without food and needs an energy boost to fuel for the coming day. When you eat less energy than your body needs, the body adapts by making the most of the food it does receive. It holds on to fat stores and begins using the muscle to provide energy you’re depriving it of. This loss of muscle mass slows down your metabolism. Research has also found that restricting food can make you irritable. This stress can cause a rise in cortisol, which increases the storage of visceral fat cells in areas like your stomach, the opposite of what we try to achieve from dieting. Alcohol “abuses” the body. It pushes aside protein, carbohydrate and other nutrients, which muscles need for their recovery and growth, and demands to be metabolized first. It will always take precedence. This deprives your post-exercise body of the things it needs most and, thereby, sabotages any potential improvement in performance. Alcohol can also have a negative impact on your actual training performance as you become dehydrated and lack energy due to disturbed sleep and decreased absorption of nutrients from foods that you consume.